This shoot was from a while back, but it was the epitome of a hot summer day! We Vancouverites have to hold onto those days so dearly, seeing as they've been so far and few between this summer. Fort Langley has really grown on me over the last year; the shops are more current and have stuff I actually love, and the food is just great...oh and it's all in adorable venue! You've already seen the Little White House and Traceycakes in my previous posts, but there is so much more than that. We quickly got a shot of my favourite drink place, Eighteen 27 on our way around town; their sangria is the best, and so are their yam fries and chocolate fondue! Highly recommended. 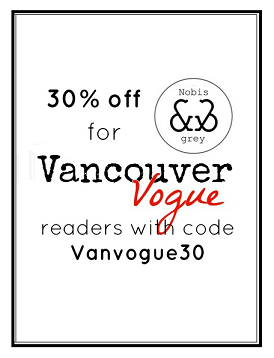 Oh, I just love stumbling upon new Vancouver blogs! Your dress is absolutely gorgeous- I love finding gems in my mom's closet, and it looks like you definitely found one in your mom's :) Not to mention that these photos are making me think seriously about taking a day trip to Fort Langely. It looks like so much fun!